As you can see there was a clear theme and style to Laura and Dylan’s wedding, with was their love of the ‘Seventies’, how flipping different is that?! 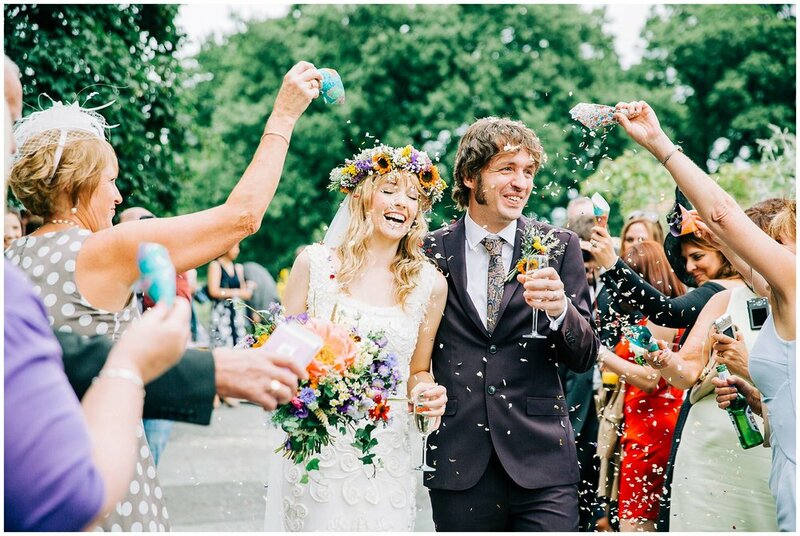 Laura is a portrait artist and has actually appeared on Sky Arts ‘Portrait artist of the year’ so she has a clear eye for colour and anything artistic, and her wedding was a stunning colourful seventies affair. Handmade crochet blankets and bunting where everywhere and was the work of her mother! Dylan rocked an unusual aubergine coloured suit which coincidentally match Laura’s vintage beetle which she turned up in, in style with it sporting a fabulous array of flowers. The floral crown and wedding bouquet that Laura chose for the big day were breathtaking and some of the best wild flower combinations I have seen. The brides men - thats right, no bridesmaids here - were equally colourful in paisley shirts an bowties! It was just colour heaven this wedding and a flipping joy to shoot alongside photo pal Emilie May photography again. 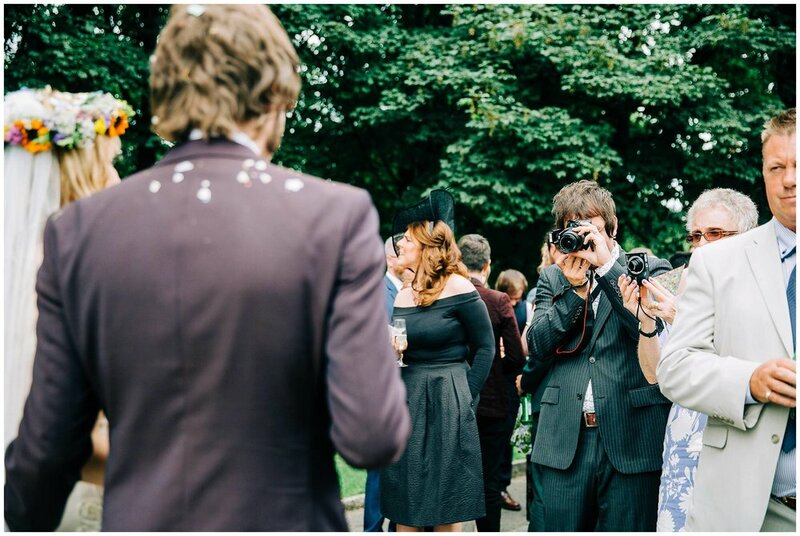 The day was super chilled out with guests enjoying all the outdoor space for cocktails and the confetti tunnel was one of the best - and longest - I have been apart of! Laura and Dylan literally smiled all the way though their wedding which is evident and it was super fun to be part of their day! Getting married and need a Rivington Hall Barn photographer? Like what you see from this epic wedding, then please get in touch HERE.